Lashor is Avior's Battle Gear in the Anime. 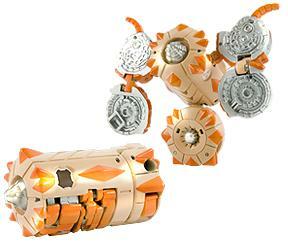 It uses the large-size driving pods, the large-size drill shoots out and attacks the opponent. The drill attacks the ground and destroys the opponent's Gate card. Purchase your Lashor Battle Gear from Amazon now!